April 6-8, 2018: SOLD OUT. Anna is returning to Dallas for a three day Portrait & Figure workshop hosted by Studio D. There will be a demo the evening before on Thursday, April 5 (7-9 p.m.), which is open to workshop attendees and the public for $25. Please RSVP to dallasstudiod@gmail.com. Workshop fee: $450 (includes model fee). Contact: Carol Devereaux at dallasstudiod@gmail.com to register. CURRENTLY: Anna is open for booking in 2019. 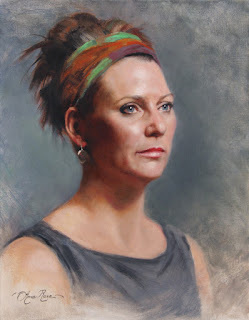 She specializes in teaching portrait and figure painting in oils. You can contact her at anna@artworkbyannarose.com or 608-853-0582. Please keep checking this page and Anna's Facebook page for any updates on workshops, teaching, and demos. Anna's workshops focus on painting beautiful portraits with a strong understanding of form, edges, values, and clean color! If you have been struggling with seeing more than just "peach" in skin tones, come to this workshop and Anna will help you see just how much dazzling color can be found. We always work from live models, with an instructor demonstration each morning, followed by one-on-one instruction in the afternoon. Anna Rose Bain is a fine art oil painter and commissioned portrait artist based in Westminster, CO. 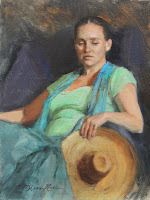 Her paintings often depict people in peaceful settings or places that evoke happiness. She especially loves painting women and children, and seeks to convey all of her subjects with honesty and sensitivity. 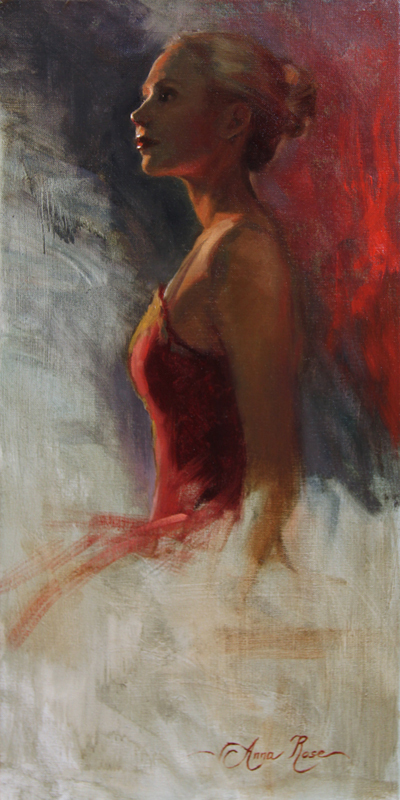 Anna's style is a combination of both classical and direct painting methods, which often leads to the subject becoming somewhat idealized, while preserving its true essence. She draws her inspiration from the joys and struggles in her life. Her paintings are an expression of gratitude and an exploration of the questions one faces at different stages of their life. For example, her “Self Portrait at 23 Weeks Pregnant” is a coming to terms with change and a joyous celebration of new life. 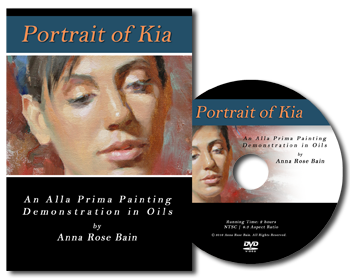 In addition to being a wife and mother, Anna paints full time, teaches portrait workshops and demos, and is actively involved in local and national arts communities, including the Oil Painters of America and the Portrait Society of America. She has won numerous awards for her work and continues to draw the attention of national and international collectors. Her official website is www.artworkbyannarose.com. 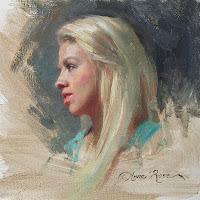 For a more intimate glimpse into the life of a working artist and mother who is passionately pursuing her dream, you can visit her blog, http://artworkbyannarose.blogspot.com. These images are amazing, there's just so much character to them.